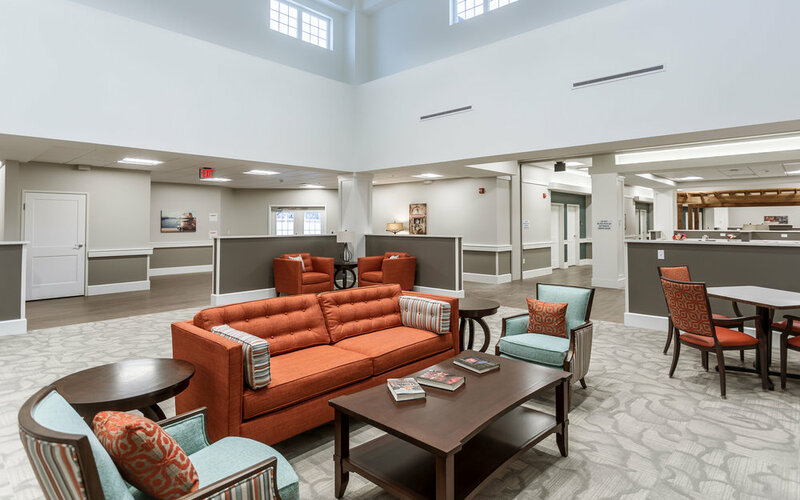 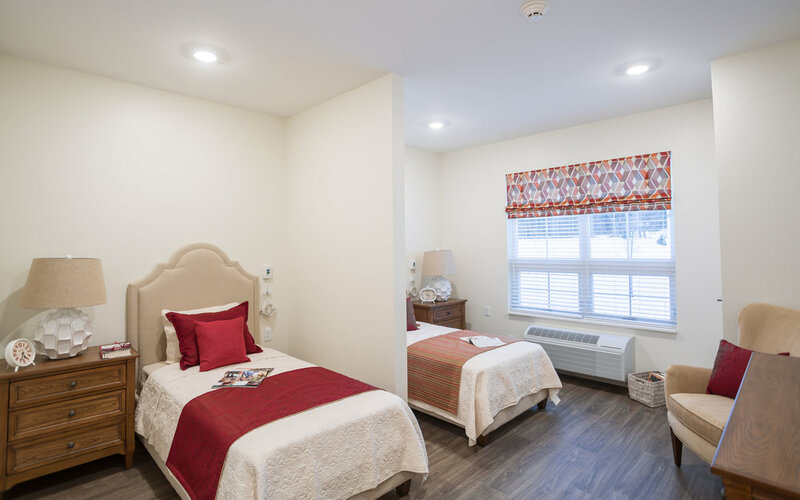 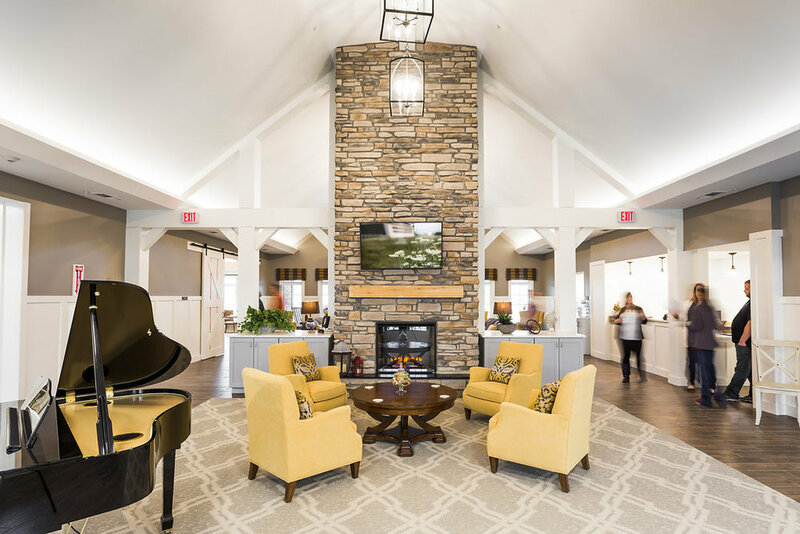 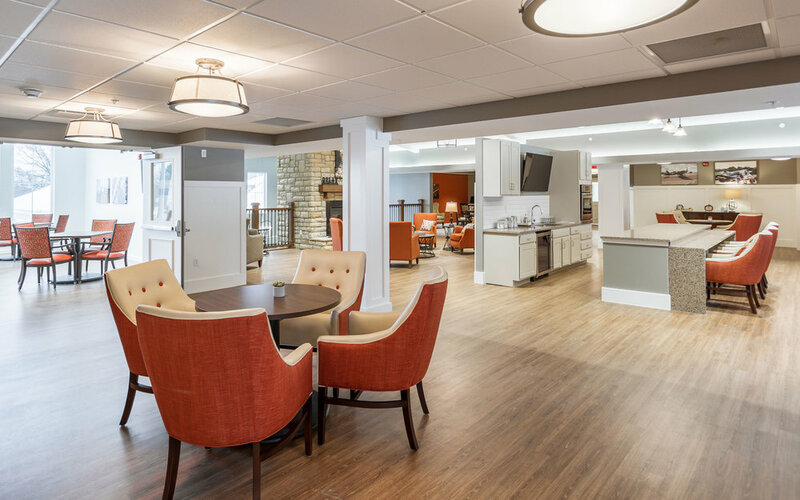 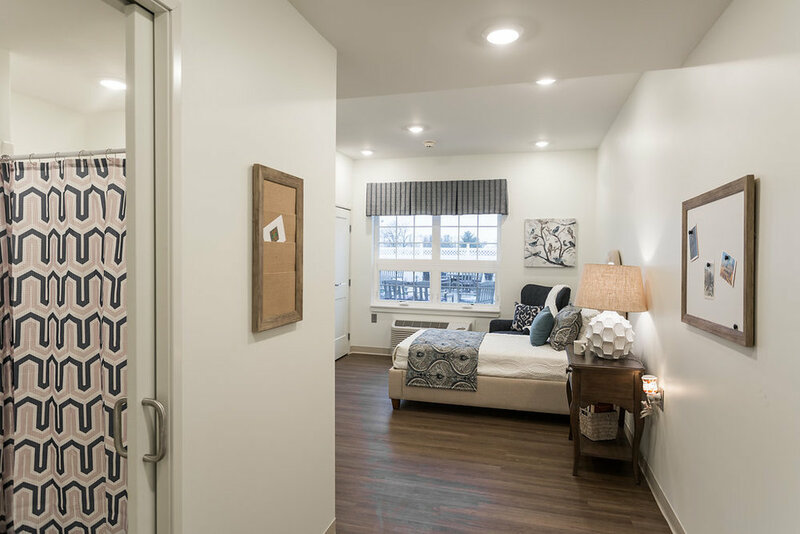 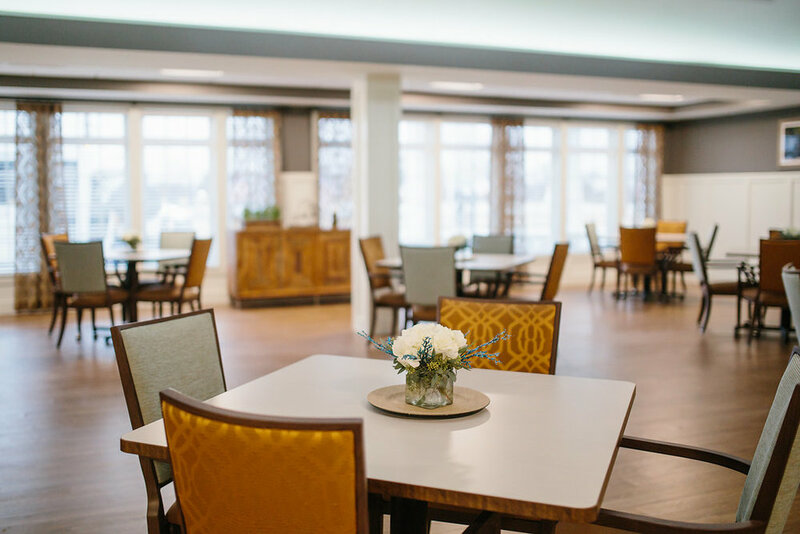 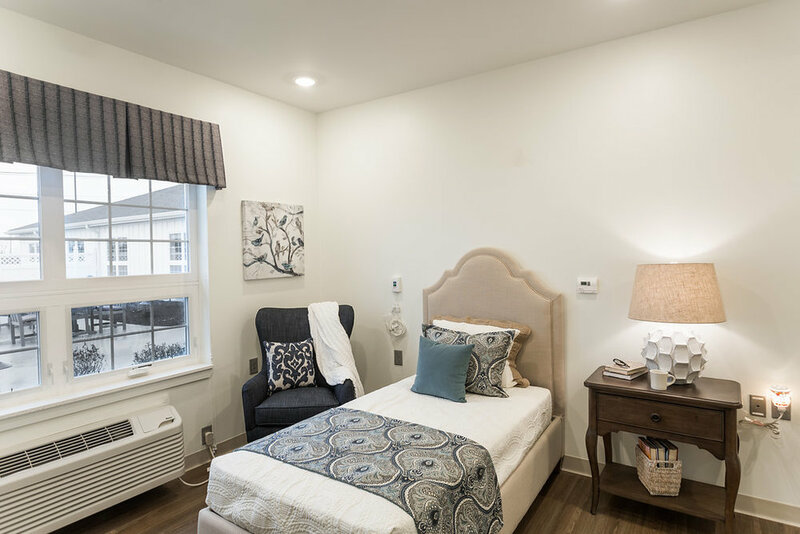 These new senior living facilities were designed with an "urban farmhouse" in mind, utilizing a mix of modern and rustic design elements throughout. 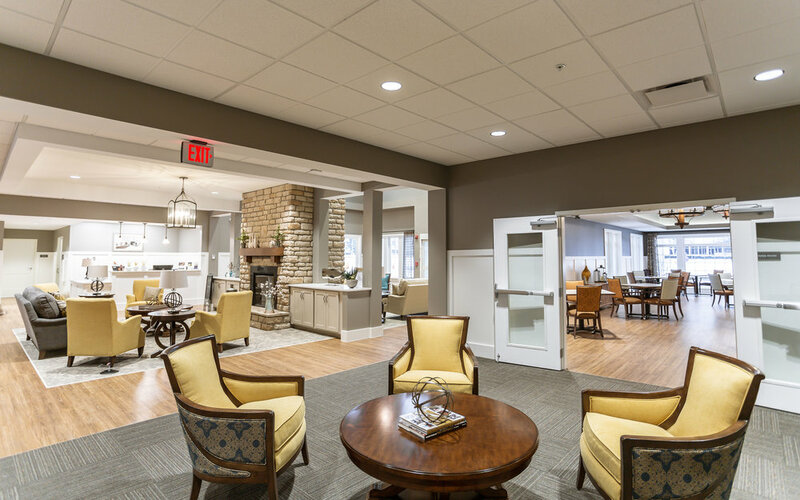 To complete the design, we worked with the client to create standards for multiple assisted living and memory care facilities. 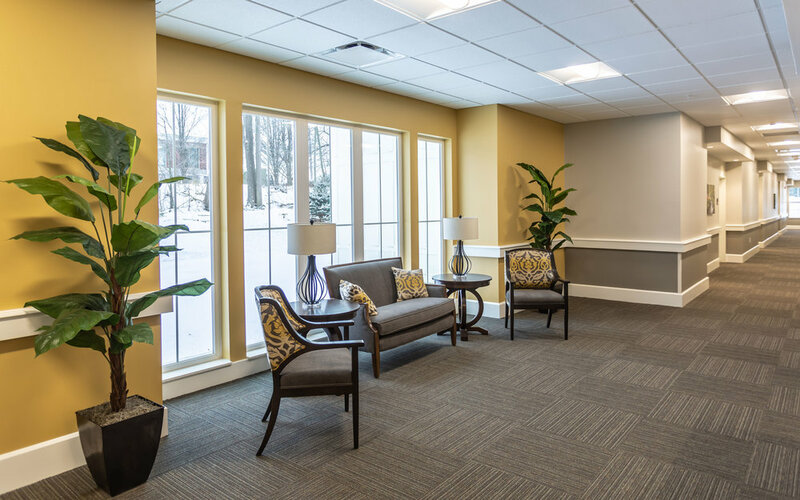 The building provided a neutral canvas that allowed for the vibrant fabrics and natural materials of the furniture to stand out. 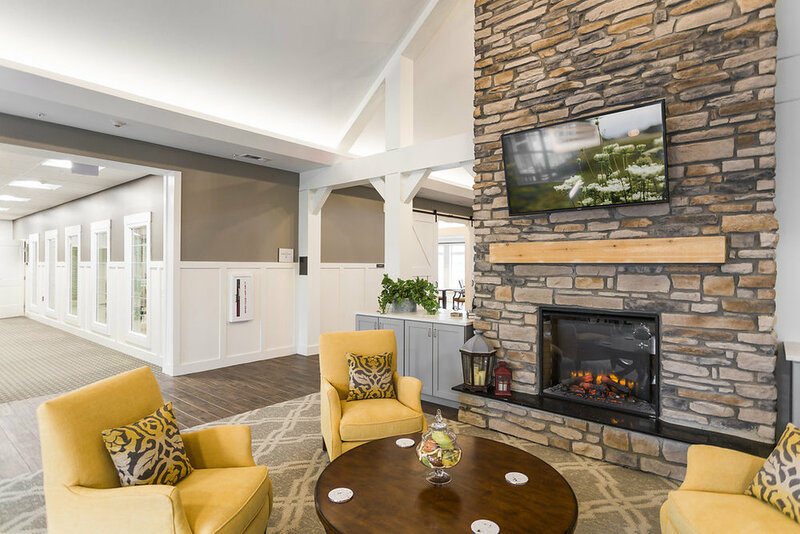 The farmhouse concept was further enhanced by the style of furnishings, accessories, window treatments, and artwork - including a custom made farm table for the bistros. 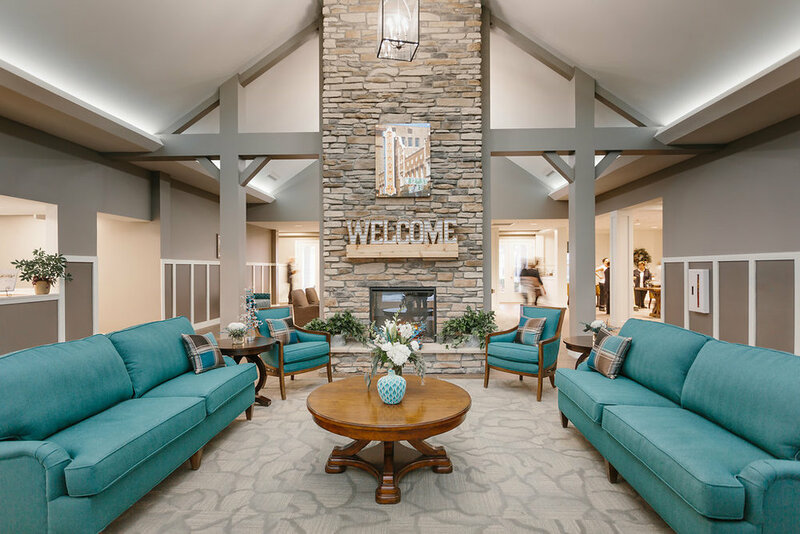 To encourage a sense of community and engage with the residents, artwork of local landmarks and scenery are scattered throughout the buildings - both historical and current day images. 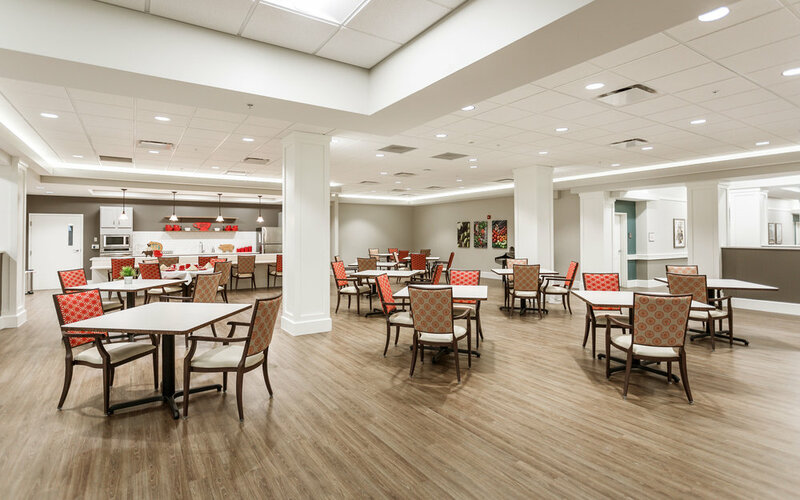 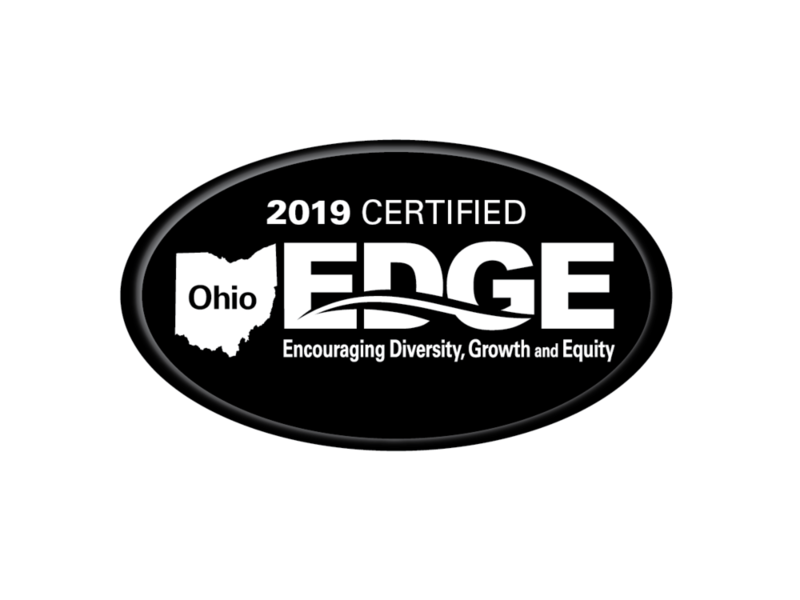 In 2017, the new standards were implemented into three new buildings located in Marysville, Ohio, Anderson, Indiana, and Greenwood, Indiana.